She has performed in TV shows like "Peshwa Bajirao" and "Super Dancer, Dance Champion". With reality shows becoming a huge part of the television industry, it has also become like a hub for emerging artist to showcase their talent and get fame. The famous reality show, India’s Best Dramebaaz winner Dipali Borkar is also a name that most people would get to know in near future. At a very early age, she has achieved so much which is inspirational. But the question is which actor has been her role model which made her choose acting as her passion? 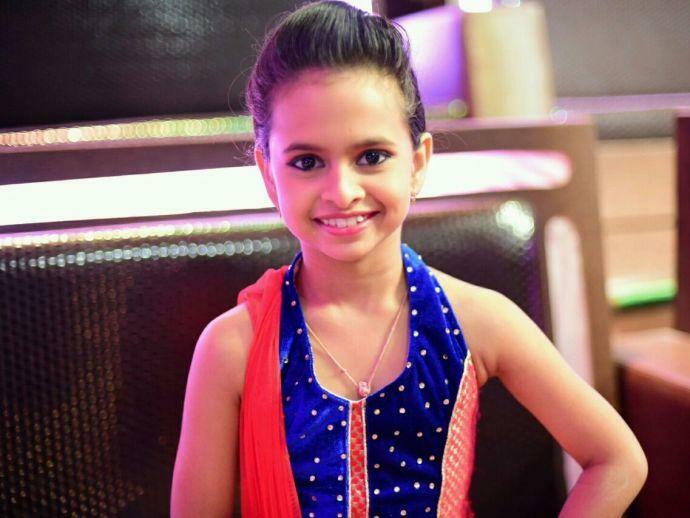 10-year-old Dipali Borkar has emerged as a great entertainer in the show and no doubt she deserved the title. Talking about her favourite actor in the Bollywood industry the Dipali Borkar said, "I love watching Madhuri mam and Shah Rukh sir on screen. Whenever I get time, I watch their movies and observe their acting in order to improve myself. I hope in future I achieve success like them," Dipali told a news agency on a telephone from Mumbai. On winning the show Dipali walked away with the golden trophy and a cash prize of Rs. 500,000. On the finale, it was Ayushmann Khurrana who was there to support the contestants and also promote his latest film “Andhadhun”. Kiku Sharda also made a special appearance in the final episode and also performed a hilarious act. For Dipali, winning the show was the biggest achievement. "After working day and night, I have finally won the show. I am happy I have made my family proud. I will miss this show very much. It was one of my best experiences. I learned so much from this show. The judges helped me understand acting." At a very early age, Dipali has tasted the flavour of fame as she has performed in TV shows like "Peshwa Bajirao" and "Super Dancer, Dance Champion". She is currently studying in Class 7. Talking about her studies, Dipali said that her mother has always been like a support system for them and her mother usually accompanied her on sets on break times to prepare for studies. Dipali has also signed by Omung for his films and she is very thankful for the same.